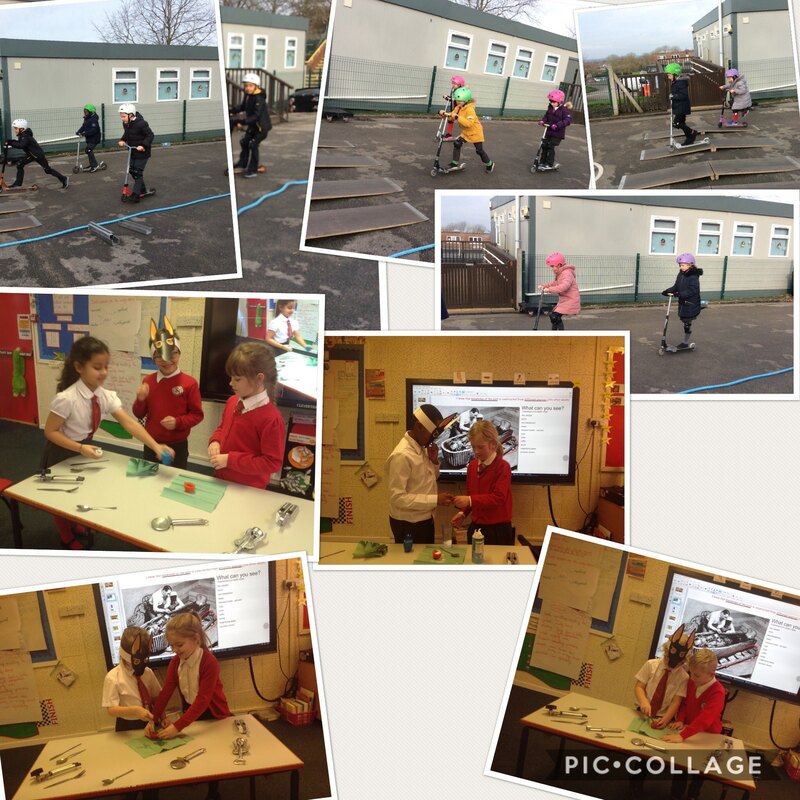 A fantastic start to the day getting fit on scooters and then ending the day learning about how the Ancient Egyptians mummified bodies to preserve them. We transported ourselves back in time by having an embalming table, wearing the mask of Anubis as well as having tools, bandages and Nitron (salt and bicarbonate of soda). We, of course didn’t use a Pharaoh, we used a tomato. 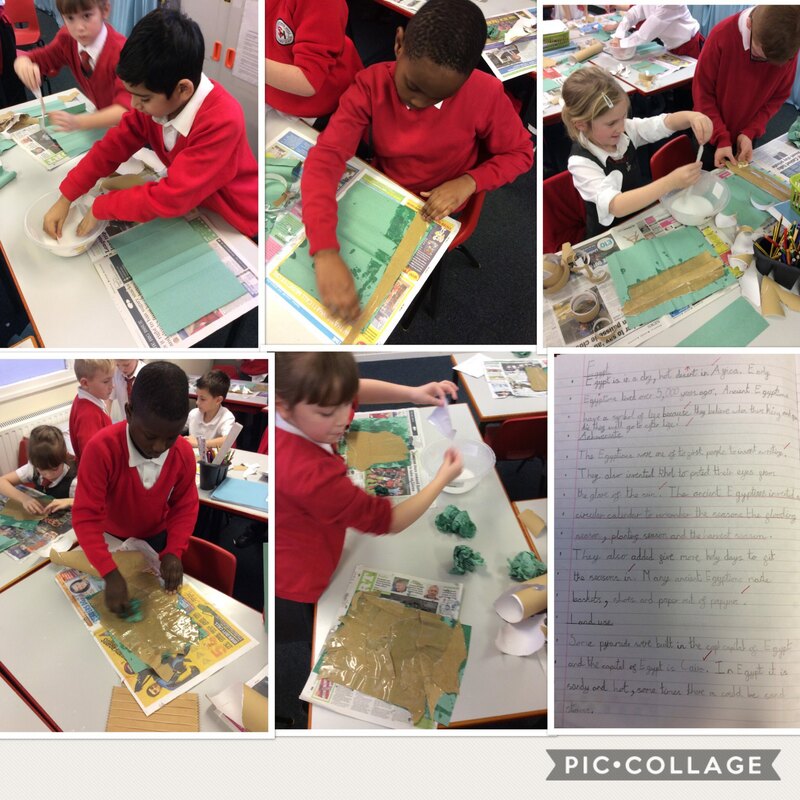 This entry was posted in Year 3 and tagged History on February 13, 2019 by Sandford Hill. This entry was posted in Year 3 and tagged History, Science on January 21, 2019 by Sandford Hill. 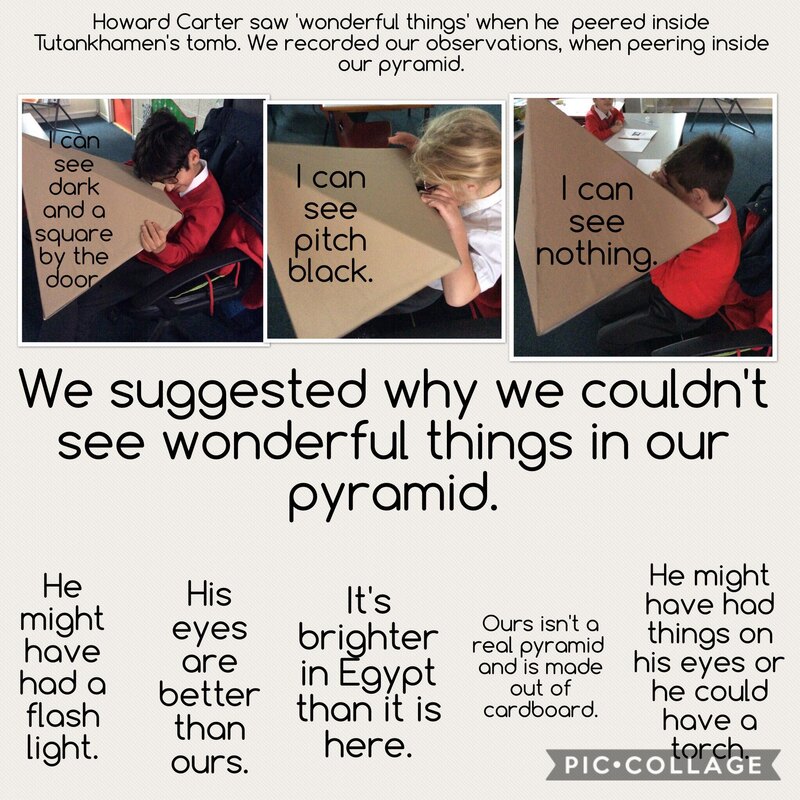 This week when we have retrieved information from texts about Egypt, we learned that the Ancient Egyptians invented many things for a more comfortable life. This afternoon, we have gone back in time to Egypt, to construct our own paper (papyrus). This entry was posted in Year 3 and tagged Art, History on January 11, 2019 by Sandford Hill. WOW! 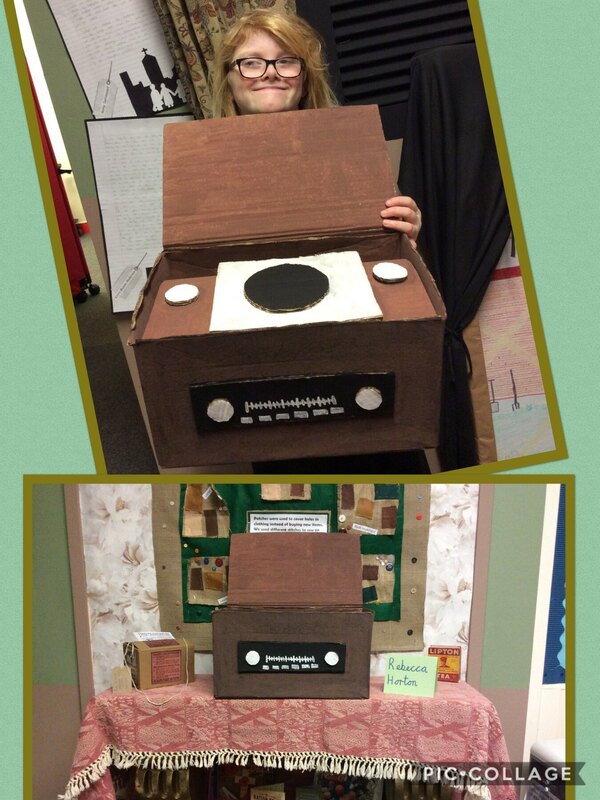 Another big thank you to Rebecca who has made a wireless for our 1940s area. I think you will agree, it looks fantastic on our fireplace. This entry was posted in Year 6 and tagged History, Homework on January 7, 2019 by Sandford Hill. Just WOW! Zack has made a window for our 1940s living room. A fantastically creative piece of homework. Well done and thank you Zack. 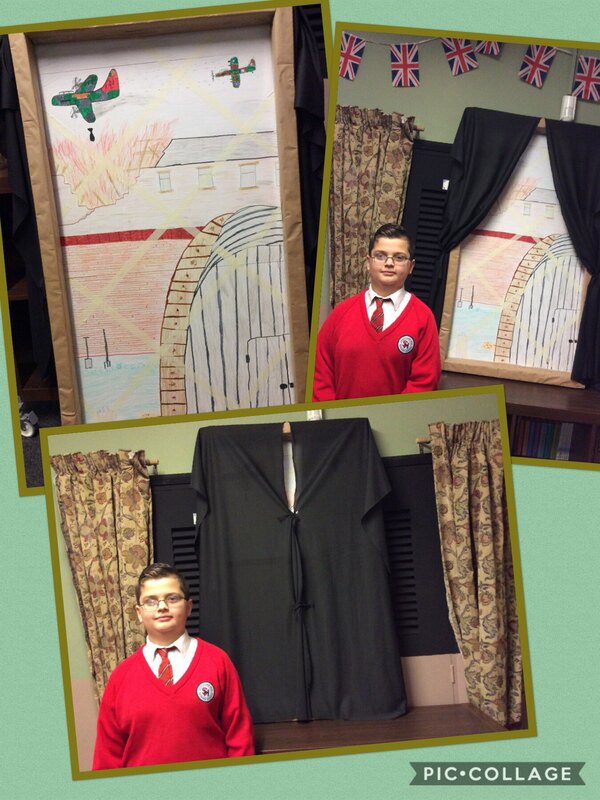 This entry was posted in Year 6 and tagged History, Visits on December 17, 2018 by Sandford Hill. 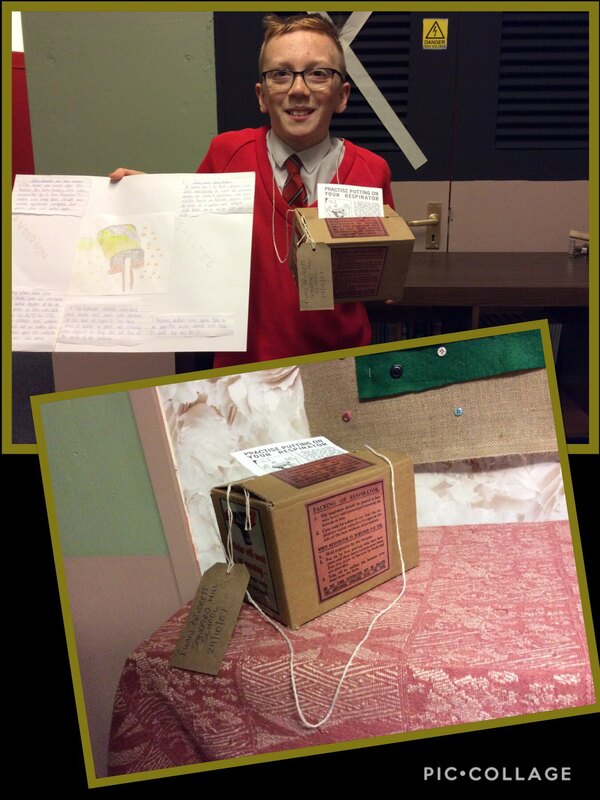 Thank you Ryan for your informative Anderson Shelter poster and model gas mask carry case. Superb homework! This entry was posted in Year 5 and tagged History, Homework on December 14, 2018 by Sandford Hill. 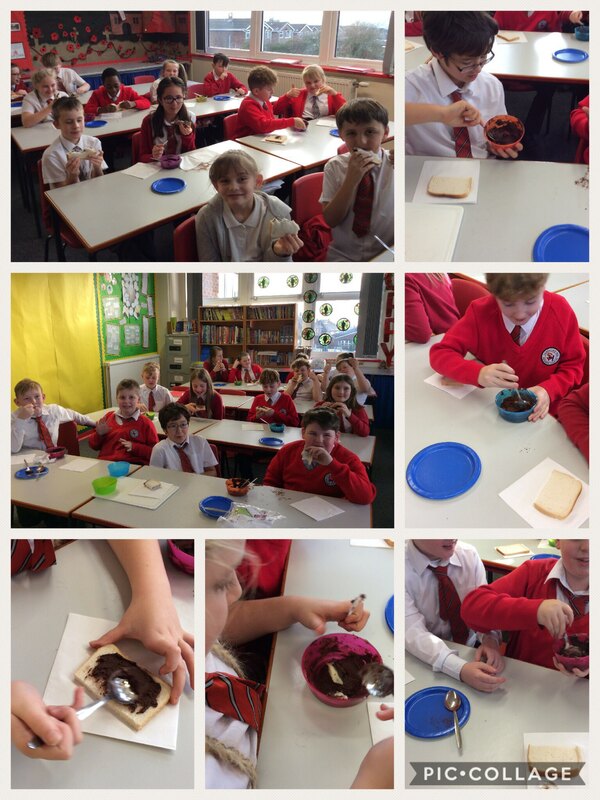 Year 6 have made and tasted a recipe used to make a sweet spread used instead of jam during the war. The ingredients were a bit strange: cold mashed potato, cocoa powder and sugar! When we’d mixed the ingredients, we spread it on bread and braved the taste. Some children loved it and ate the bread and what was left in the bowl while others said it was like a ‘bush tucker trial’. Try it out – see what you think! This entry was posted in Year 6 and tagged History, Technology on December 11, 2018 by Sandford Hill. Thank you to Romy for an amazing Anderson Shelter with a very realistic vegetable patch. 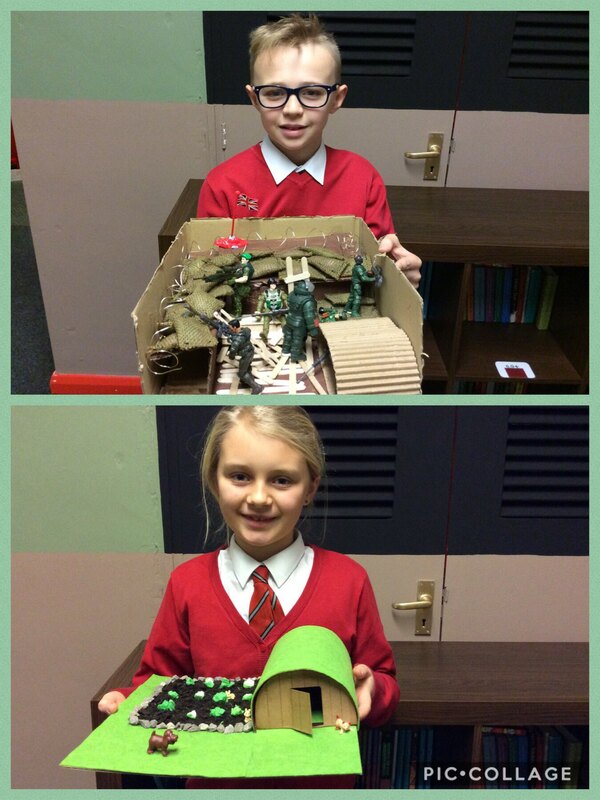 Lauchlan has created a model of the trenches and even put his fantastic sewing skills to use- amazing! This entry was posted in Year6 and tagged History, Homework on December 10, 2018 by Sandford Hill. 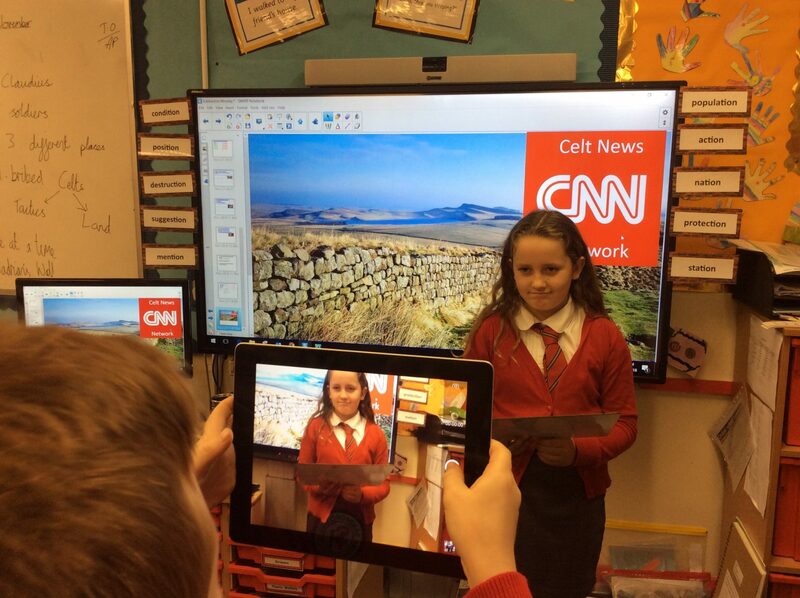 Year 4 have become reporters for CNN (The Celt News Network) this afternoon! 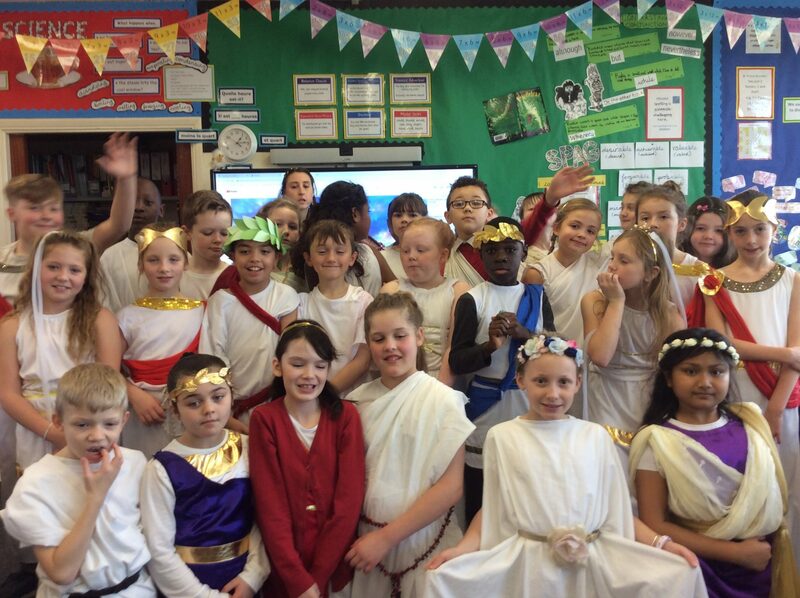 We wrote news reports all about the Roman invasion and the opposition from the Britons and the Celts. We talked about how this led to the building of Hadrian’s Wall. The children did a fantastic job working in groups to film each other. Well done Year 4! This entry was posted in Year 4 and tagged History on November 27, 2018 by Sandford Hill. Great costumes Y5. A massive thank you to all of the parents/carers who helped make everyone look fabulous! This entry was posted in Year 5 and tagged History on November 15, 2018 by Sandford Hill.